While spring is not *quite* as close as we want it to be, this fashion-week makeup moment is giving us all the warm-weather vibes we need to make it through this harsh winter. A v. intersting floral look has blossomed all over the runway: face flowers. Yes, they're a thing. And, yes, they're amazing. 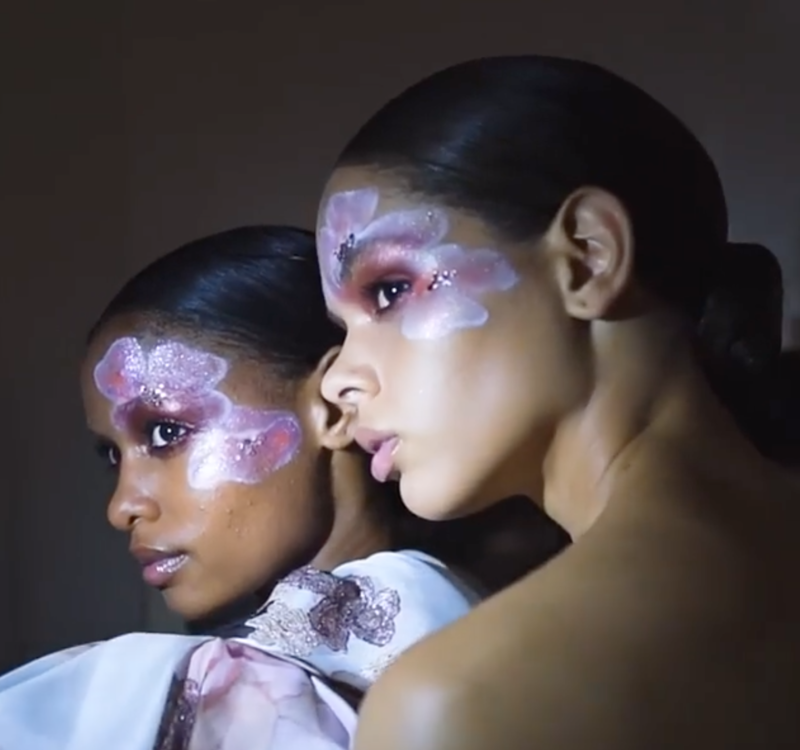 Pat McGrath—a highly regarded makeup artist who's responsible for this look on Emily Ratajkowski and this look on Rowan Blanchard—is the mastermind behind the face flowers that appeared in Valentino's floral-theme spring 2019 couture collection presentation just last week. The most amazing thing about these flowers? Their subtlety. McGrath used sheer colors which let the skin show through, but accented the designs with glitter and rhinestones. McGrath has been called the most influential makeup artist in the world, and with this cool cosmetic moment, it's easy to see why. Another makeup artist, Lloyd Simmonds, took it up a notch by cutting real flowers and applying them to the model’s faces at designer Alexis Mabille's show. He also paired them with bold and bright eyeshadows for a bit of pop. Will you try out these face flowers, or is it too out there? Share in the comments!